Museo Poblo Galego (Museum of Galician People) is located in the 17th-18th-century Convent of San Domingo de Bonaval. It contains exhibitions on a wide range of popular Galician folk culture: fishing, farming, houses, traditional costumes, musical instruments and Galician pre-history. 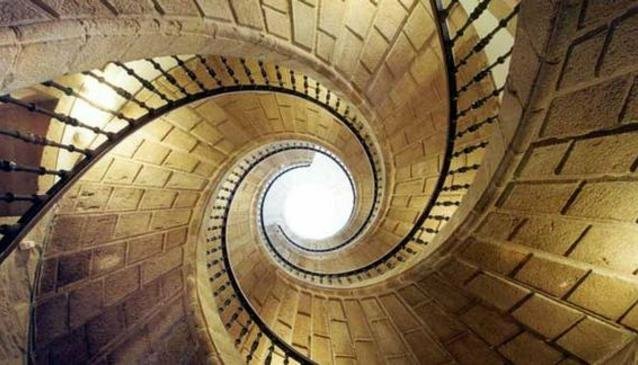 There is an amazing triple spiral staircase, by Domingo de Andrade that connects the cloister with the various different floors of the building. It's worth visiting the convent church as well, which is occasionally used for temporary exhibitions. The church contains the Pantheon of Famous Galicians where famous people in Galician culture such as Rosalía de Castro are buried. Entrance is great value for money at only 3€ and 1€ for people over 65 or students over 18 years old. Tuesday-Saturday: 10am - 2pm and 4pm - 8pm. Sundays and public holidays: 11am - 2pm.